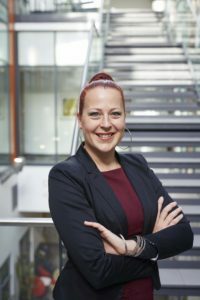 From now on, accu:rate’s managing partner Dr. Angelika Kneidl is part of the advisory board of the research project by Dr. Natalie van der Wal called EVACUATION. Angelika gives her input on crowd simulation as one of the advisory board members among other key figures in the sector. EVACUATION is all about testing communication strategies to save lives in emergency evacuations. The aim of the project is to improve speed an the survival rate in emergency situations. Through insights from agent-based computer modeling, risk communication and decision research and an advisory board of emergency responders experts, dr. van der Wal wants top reach the goals of the projects. The EU is working to improve the preparations for emergency evacuations as public spaces become more crowded. Whether there’s fire or terrorist attacks- a fast and efficient evacuation is becoming more and more important. Observations of actual evacuations show, that people do not immediately walk to the next exit as expected, rather people tend to take the exit they know the best. Shockingly, most people only react after 10 minutes, before they try to leave the building or place. The EU calls for evidence-based recommendations for evacuation, which are mostly non-existent. Nowadays, experts use computer models that require more realism. EVACUATION combines computer models with insights from risk communication. Identify which risky behaviors occur in emergency evacuations and underlying causes by observing behavior in evacuations. Test communication strategies for improving evacuation time and survival in experiments. Image source: Picture via Unsplash, “Boston firetruck parked on a street at night” by Osman Rana.